For me, having an anxiety and depression is almost like having another voice in my head telling me all these bad things about myself like I’m ‘not good enough’, I’m too “weird” or “stupid”, and the list goes on. Some people describe it as an invisible demon (as shown on the left hand side). The worst part of it is that anxiety will seek out every shred of evidence to prove to me that my negative thoughts are true. For example, say that I am with a friend and they peer down at their phone to answer a text whilst I am having a conversation with them. This may seem like nothing to a majority of people but this small event has already been thrown into the evidence pile to conclude the “No one cares about you” theory. 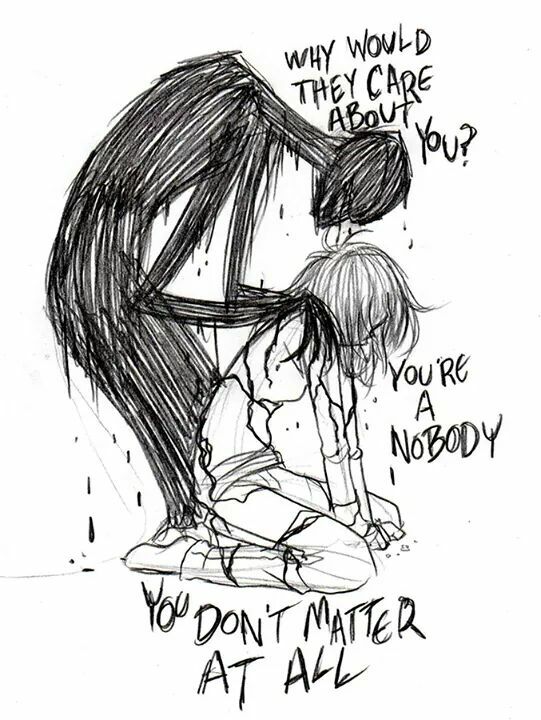 Anxiety/depression will tell me something like this, “They OBVIOUSLY aren’t interested in talking to you. See…no one cares about you”. It can even be something as small and insignificant as someone’s facial expression. Say if someone looked disinterested in a conversation I was having with them, then this forms further evidence to support this same conclusion even though they may just be tired or having a bad day, but with anxiety/depression it will fight back at you to try and prove the worst scenario. I lost it completely. Sounds harmless doesn’t it? But here’s an explanation: He finished work at 3pm and wanted to go to the gym after work so hence, he wanted to see me at 6pm, after his gym session. But because he didn’t want to see me immediately after work, my anxiety/depression tells me, “He’s OBVIOUSLY not really interested in seeing you, maybe he doesn’t like you anymore”…and the list goes on. I was unable to accept any positive facts such as, “If he didn’t want to see me then he wouldn’t ask me to visit him” as the negativity bias became too overpowering. The reality was that he hadn’t been able to attend the gym for weeks and this was his only early finish he’d had for a long time which would finally give him a chance to fit his workout routine in. I was only able to grasp the reality of the situation once I’d managed to calm down after losing my temper. What I experienced was a cognitive distortion, something common in people with anxiety and/or depression where their thinking becomes distorted so as to believe something is true without valid evidence. 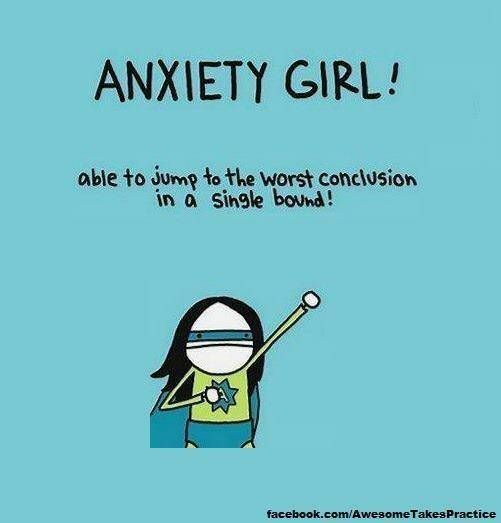 When this happens, people with anxiety and/or depression are normally not aware of their cognitive distortions. Also, most of the time I am completely aware that I am overreacting but the emotions and feelings are so overpowering that it is almost impossible to snap out of my overreaction. I can definately relate to this. I panic at really stupid things sometimes. I wrote a post about it on http://www.luthienthegreen.wordpress.com- take a look if you like. I think sometimes the body even reacts before the rational brain gets there..